Asking Price is MORE THAN $60,000 BELOW the County assessed Market Value. There may be a chance to lower the assessed property tax! Obviously, this home is priced to sell. Beautiful home located in gated community of Emerald Bay which offers unlimited golf with no trail or Green Fees, beautiful club house with fine dining, Lighted Tennis Courts, beautiful park on Lake Palestine with boat launch. The home has too many extras to list but some include Climate Masters Geothermal system with 5 zones, Dehumidifier system, RV hook with Septic system drainage and Electrical tie in. 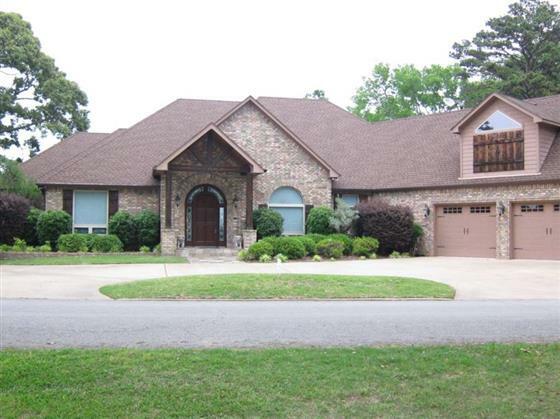 Built on a prime location on Lake Palestine with spectacular views of the lake from nearly every room. Don't miss this one!